Drizzle remaining oil over asparagus. 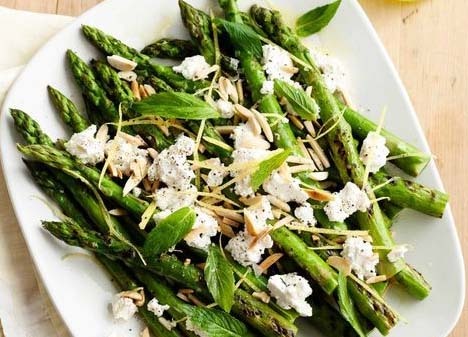 Cook asparagus on grill, turning, for 3 minutes or until bright green, tender crisp and slightly charred. Transfer to a serving platter. Drizzle over lemon dressing. Sprinkle with lemon zest, feta, mint and almonds.